When is the last time you gathered everyone around your iPad to look through your digital files? Do you remember the last time you were able to find the photos you were looking for on your computer? Have you ever backed up your photos from your laptop to an external hard drive and/or the cloud? Are your wedding photos in album? I imagine you answered “NO” to many, if not all, of these questions. You are not alone. I am here today to tell you why and how to back up your digital images and encourage you to print out your photos from those digital files as well. I get it and I know it is a daunting task. We LOVE our digital world. We have our phones with us at all times, and we can snap away and capture all of life’s moments. Every…single…one. We post straight to FaceBook or Instagram. We get instant gratification, that rush, when 107 people “like” the photo of little Olivia with baby food all over her sweet little face. The sad reality is little Olivia may never see that photo. Who knows if Facebook will be around in 20 years. Who knows if you will be able to find that photo in 2 years. It most likely is sucked into the vortex I like to call the “ Digital Photo Bermuda Triangle”. You took the photo, you shared the photo and then it disappears. Without a trace. Gone. You have no memory of that adorable photo of your little one with baby food all over her face and hair. You might remember when FB reminds you, two years later, that it was a memory. You smile, keep scrolling and move on. Years later you have to pull together some photos for your little ones pre-school art project. You end up spending an hour scouring your iPhone photos for that awesome baby picture of your now toddler. No luck. It’s disappeared in the “Digital Photo Bermuda Triangle”. I am on a personal crusade to make sure this generation of children grow up with photos in albums. Read my previous blog The Importance of Photo Albums to understand why I think we need to PRINT out photos. I also think it is very important that our children will be able to easily locate the digital files they want to share with their future college roommates. I know it feels so far away, but trust me, times are changing, technology is changing, our kids are growing up, and guess what…they still like sitting down and looking at photos of their family. Everyone enjoys looking through family vacation photo albums. The good news is that it is not too late to change the trajectory of your photos. They can live on. They can have a life outside of your computer, your smartphone and Facebook. Here are some broad tips to preserving your precious life moments. Each category has many layers. There is a plethora of information and “how to’s” on the internet. I am here to get you motivated to get started. Dive in and start today. Dive In And Start Today! What Are You Waiting For? If you don’t have Cloud Storage then Dropbox or Backblaze are great options. For Dropbox click this link and install it on your desktop now. It is a free storage platform that lets you store, organize and share your photos and documents via the web. You can access them from anywhere. Here is a great blog from Dropbox about auto uploading titled Your Photos Simplified. They have tons of great tutorials. I also really love Backblaze. It is another form of cloud storage. It is only $5 a month for unlimited cloud storage of your Mac or PC. It’s money well spent. I encourage you to make a folder on your computer or external hard drive called “Photos Go Here” or “Master Photos”. Every photo digital file or folder with photos in it will go in this main folder. No confusion there. You will never wonder-where should I upload these photos to? It’s practically calling your name. Every single photo or photo folder, should go into this main folder. This is key. When you upgrade to a new computer, or need to back up your photos, they will be in ONE place. Just drag and drop all photo folders into this main folder, from all of the corners of your computer. I know this can feel daunting, but I promise it will give you peace when you are done, knowing your photos are all in one place. Then you can organize the photos once there. I have 3 main folders in my “Master Photos” folder. My family, my work and my volunteer work photos. Within each of these folders I have a list of the year. Within the years are folders by date, then name of what’s in the folder. You can organize any way you like and that makes sense to you. I use the 20151031_Halloween method. Then they are chronological. Ok, now I imagine right about now your head is starting to throb and this is starting to feel like an impossible task. Don’t get discouraged. It is not going to happen in one day or even a weekend. This will take time. If you just focus on one task and dedicate 20 mins a day to it, you will get through it before you know it. The key is to give yourself time and don’t try to do it all at once. Every photo on my computer is in this “Master Photo” file. Once your photos are out of your phone, on your computer and in Dropbox, I would encourage you to make a copy to an external hard drive. You will store the hard drive somewhere outside of your own home, such as a friends house, your work, your parent’s or even a safe deposit box. Just in case of fire or theft, your digital files will still be safe. You should update the external hard drive every few months, depending how many new photos you take. 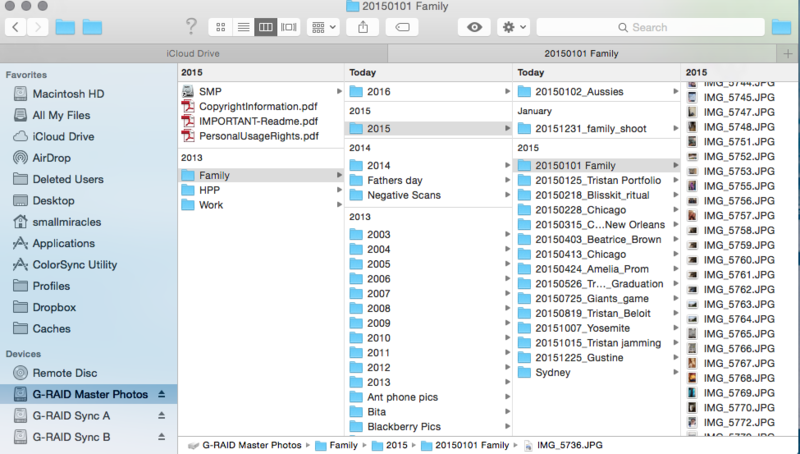 When you have all of your photos in one place (remember that “Master Photos” folder) it is so simple to drag and drop them onto an external hard drive. Here is a step by step guide to getting your digital files from your computer to an external hard drive. Start printing your photos TODAY! Print out last month’s photos and put them in an album. 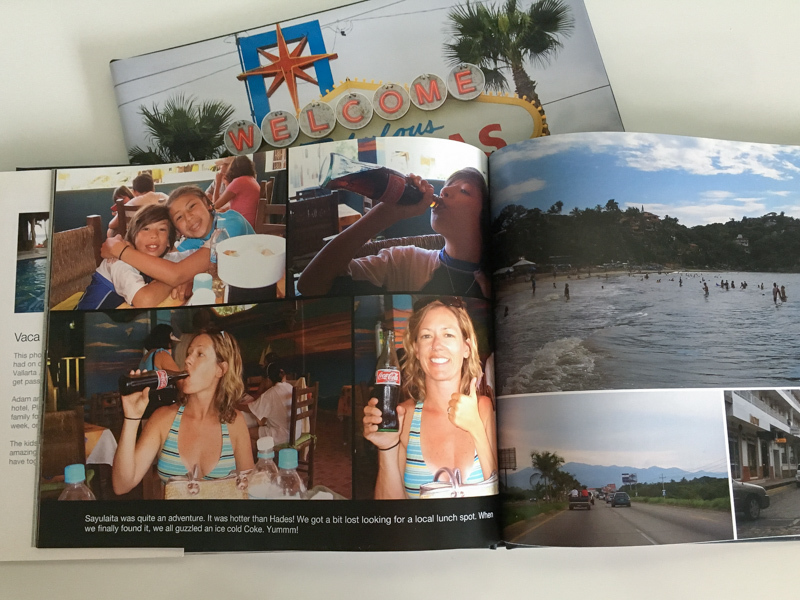 Or go online and create a photo book with your vacation pics from last summer. 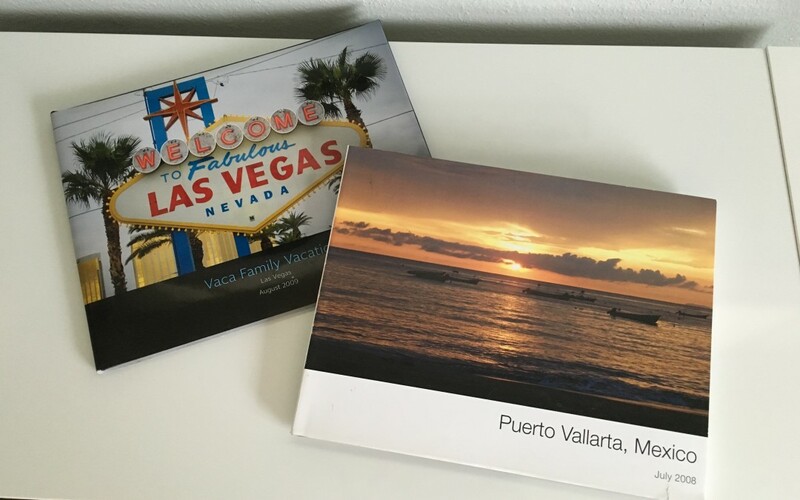 I have used My Publisher and Blurb to make vacation photo books. Their software was easy to use and affordable. It’s good to start now and stay current, then when you have free time, go back. You will feel much better. There are great consumer album making companies on the web. Back up your files today. Don’t put it off another day. Aren’t your memories worth preserving?